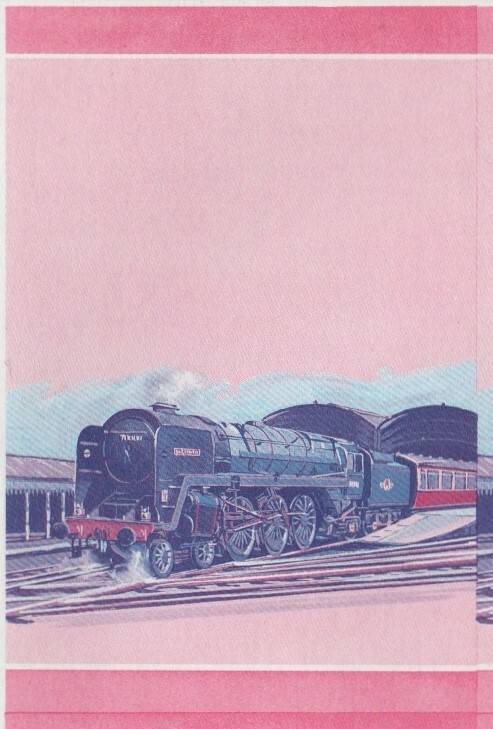 1951 Britannia Britannia Class 4-6-2, U.K. 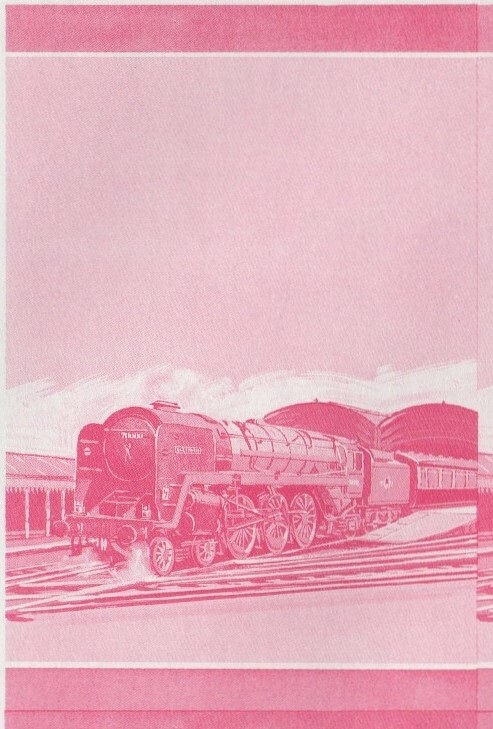 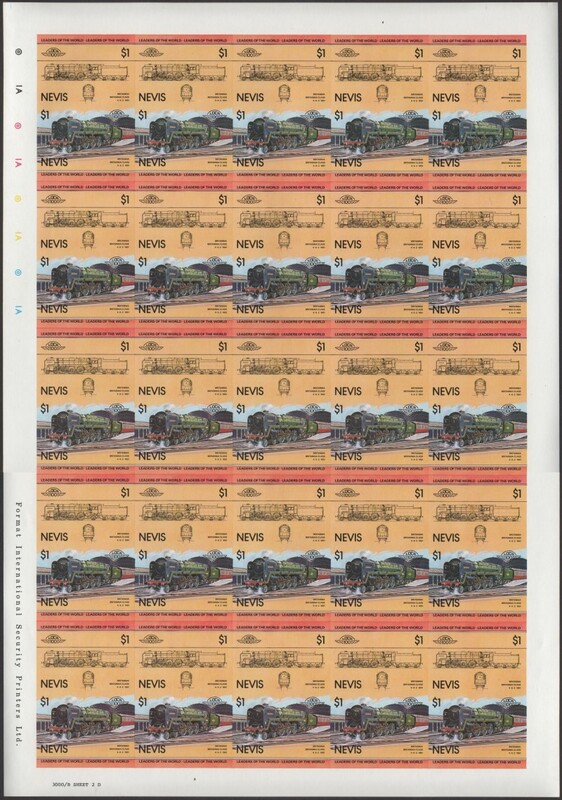 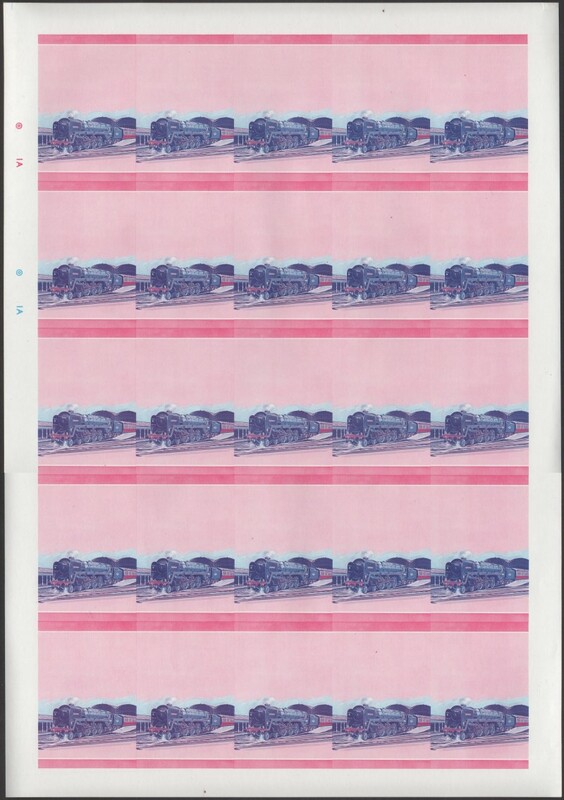 The Britannia locomotive color proof stamp panes were separated somehow from the Saint Vincent/Nevis holding. 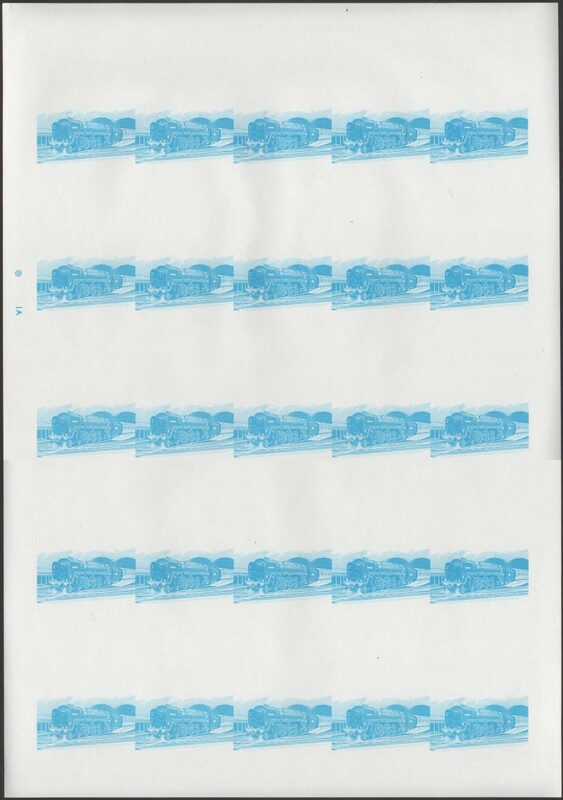 My findings are that the all colors and yellow color proof panes have been retained by the Stampdile Network. 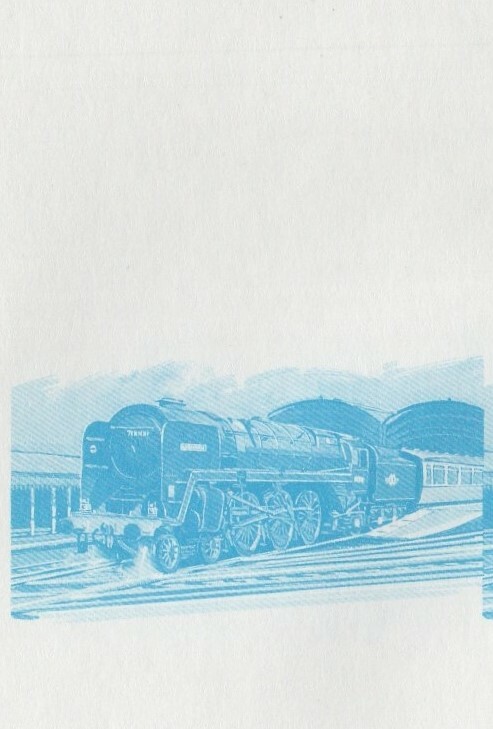 They are available as singles on their site. 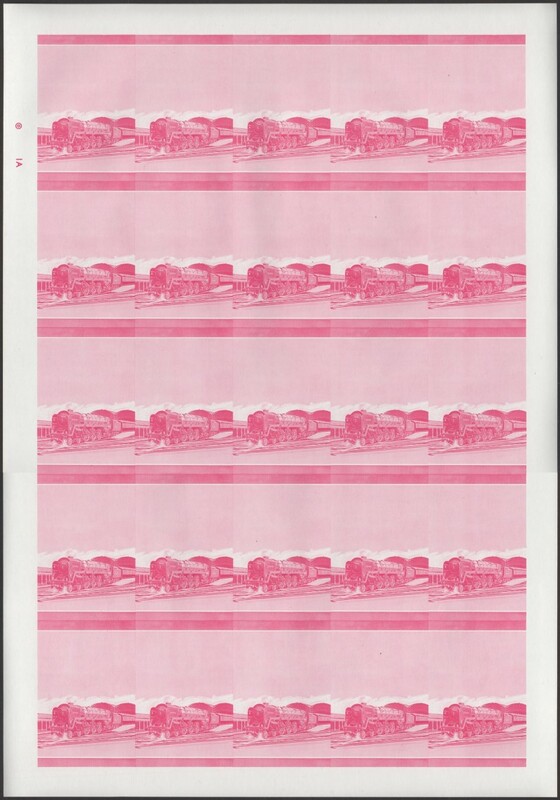 Noting that other than the final proofs, none of the other colors are available there showing us that the colors that I image below were only in the Saint Vincent/Nevis holding. 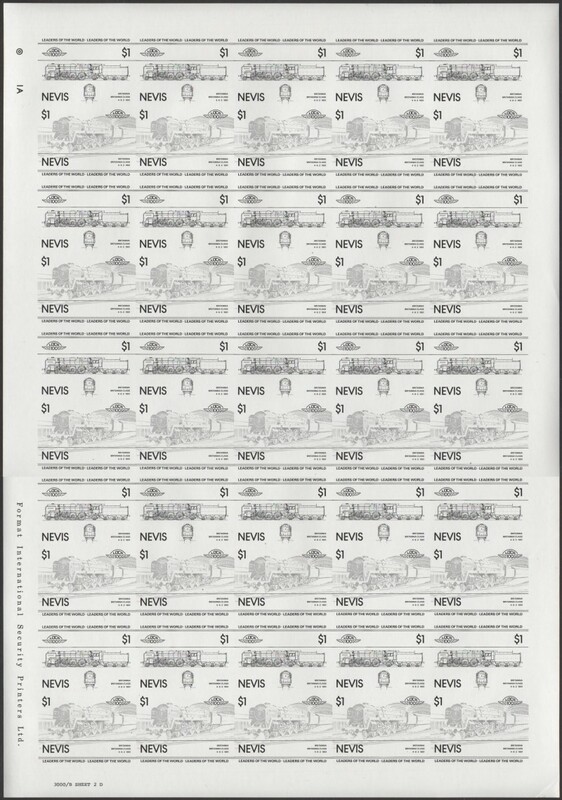 This puts the status of having a complete set of the panes for this value as non-existent. 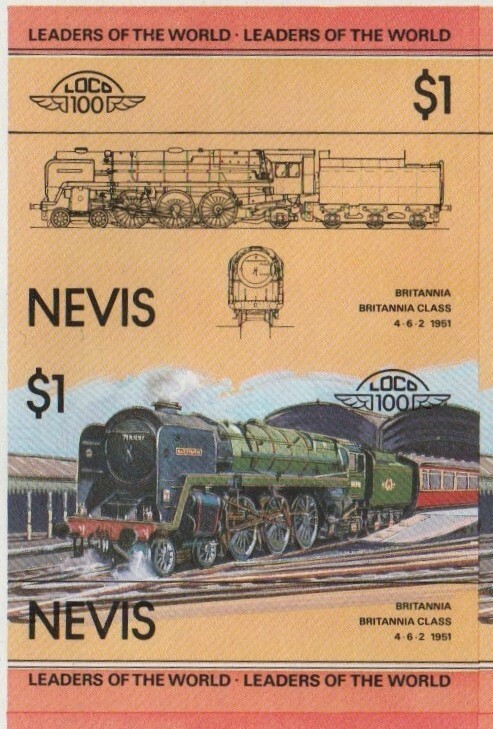 There were 3000 pairs of each of the 1951 Britannia Britannia Class 4-6-2 Train Stamp 7-stage progressive color proofs made for Nevis. 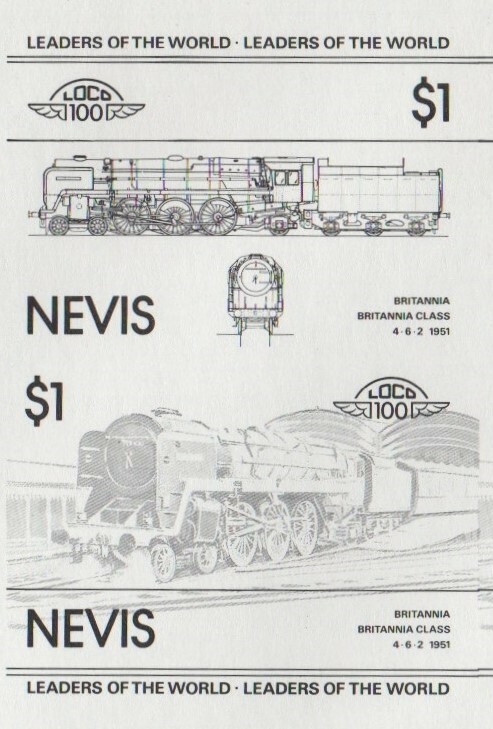 Return to Nevis Leaders of the World Cars and Trains Progressive Color Proofs Main page Here.